After the release of Windows 10, Millions of Windows 7, 8 and 8.1 users have upgraded their systems to Windows 10. Thanks to Microsoft's free system update. Microsoft even offers Windows users with an opportunity to downgrade their computer to their previous version of operating system after an upgrade, but the opportunity lasts for only 30 days. This is really cool, but what if you upgraded your system to Windows 10, used it for more than a month and then realized that it’s hard for you to adopt? Now, How do you get your favorite Windows version back? 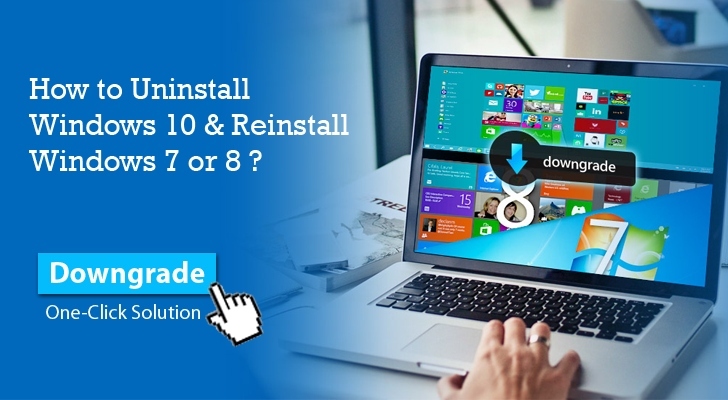 You don’t need to go through that lengthy procedure of downloading and installing the old Windows again to downgrade your system to the previous version. I have a better and an easy solution to your problem. You can now quickly go back to your previous Windows Operating System and restore all your old applications & games with just one click. Thanks to a new tool called EaseUS System GoBack Free. 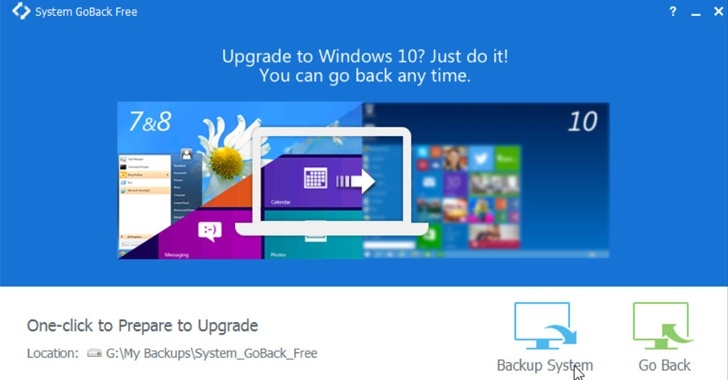 EaseUS is well known for its Data Recovery and Backup software tools and now has came up with a new Free Windows rollback alternative that allows Windows users to safely downgrade their Windows 10 system to Windows 7, 8 or 8.1. The free software tool creates an image of your old operating system to use it afterward if you decided to downgrade the latest Windows 10. Protect your Windows 10 upgrade experience to avoid any data loss. Restore your old operating system, applications and games without reinstalling. Downgrade from Windows 10 to Windows 7/8/8.1 if necessary. Go back to the previous system station whenever you need. There are numerous of backup software programs out there in the market that offer the same feature, but it is the simplicity of this software that makes it best among the others. EaseUS System GoBack Free works on all versions of Windows operating system starting from Windows XP to Windows 7,8 and 8.1. Download 'EaseUS System GoBack Free' application from the developer website. Install the software from Start Menu. Now, when you start the program you will notice only two options, “Backup System” and “Go Back”. Click on “Backup System” before upgrading the operating system or rolling back to the previous system. Now, if you want to go back to your previous operating system, just open the software and Click the “Go Back” option. EaseUS System GoBack Free is just a one click process to get back to your old operating system, and you should consider it seriously before upgrading your system to Windows 10. Note: The software works only when you run it prior to upgrading to Windows 10. You need to create a Backup of your old operating system using this program. Otherwise, you will not be able to go back to your previous OS using third-party software.